“Often people say that social media use is not ‘proper’ communication. I disagree as I can see the benefits to the tenants here so clearly from their use of Facebook and other social media platforms. Older people can suffer terribly from loneliness and social isolation. Being less physically able to get out and about to meet friends, families not being local, families not being about at all. Watching one of my tenants upload a picture of themselves at a social event here, using a WaveLength donated tablet, and send it to their relative in Australia via Facebook messenger –and then see their smile a short while later when they read their relative’s comments about the picture. Well, that was fantastic. 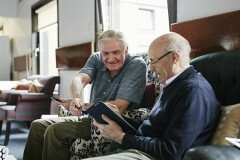 It was a moment of connection: it allowed ‘a moment’ between two siblings who haven’t physically seen each other in over 25 years and it summed up for me just how valuable a resource digital access is for older people. We have a Heritage and local history group here at Glentanar Court. Now tenants are able to sit at their meetings, with tablets, and access vast archives of images and documents about their local community, which then becomes the focus for discussion, sharing of memories and experiences. We are being able to promote services which make life easier for those with health/mobility issues– using our landlord’s web portal, the local council web portal, online banking, online shopping. Our project with West College Creative Industries Department was really interesting – students who are so used to having digital resources at their fingertips working with older people coming to social media for the first time, teaching them about Instagram and Tumblr, WordPress, Twitter and Facebook. Lots of laughter and learning of new skills, lots of lovely photos to upload – and very interesting discussions about ‘oldschool’ ways of communicating: letter writing and calls going through ‘the exchange’, telegrams and using ‘dial up’ modems! 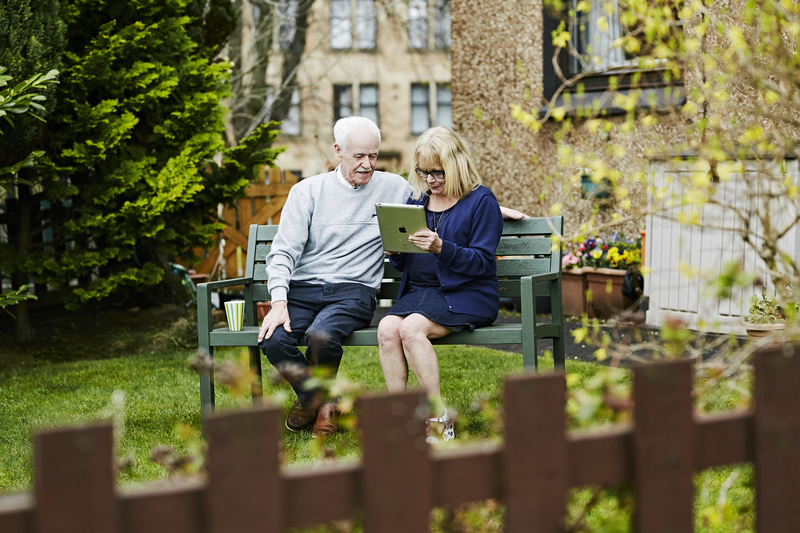 Using social media, I believe, expands people’s ‘circle of connectivity’, and provides real opportunities to tackle social isolation and loneliness – which are huge issues for not just older people, but modern society.